Point of no return is a film by Alkmini Bourra produced for the ARTE Greek Theme Day, broadcast on ARTE in August 2013, spanning an entire day dedicated to Greece. It is a film about people who have chosen to stay in Greece and fight for a better life. The more the idea of democracy crumbles, the more faith in a sense of community increases. The film shows contemporary Greece and its people, who don't want to be seen as victims but as citizens who are coping with this challenge. Watch the ARTE GREEK THEME DAY presentations here, filmed in Metaxourgeio, a vibrant, alternative central Athens area. You can watch Point of no return at the Thessaloniki Documentary Festival on March 20, 2014 at 15.00 at the John Cassavetes Cinema Theatre, or at the Market. What is so fascinating about this story? When you first watch Turkish Soap operas, or any soap operas, you cannot imagine that they can actually affect women in this way. But there are many levels to a story and one has to be open to see them. Especially when you are filming a documentary, I believe that the secret is to see beyond the obvious elements in a story and dig deeper. How did you approach casting for your main characters? We conducted a lot of pre-production and we spent months in Egypt and Turkey, locating our mail characters and also obtaining access to the industry and Turkish actors. We actually found many women whose lives have been affected by watching the series. Especially in Egypt, we met women, who don’ t have Egyptian role models any more, especially after the failure of the Arab Spring, they don’t even have hope in finding role models any more. This is why Turkish women, presenting a modern type of Muslim women, who are fighting for what they want and are getting it appear inspiring. In finding characters we also had a lot of help from our co-producers in the United Arab Emirates, in Bulgaria and Croatia. What do these women have in common and what makes them different? What these women have in common is the need for love, respect and happiness. I know it sounds cliché, but these are very common for women around the world. So the struggle for women’ s rights is common, and it spreads from the Arab World to the Balkans to the West. Look at what is happening in Spain right now on the issue of abortions. The fight never ends even in parts of the world we consider to be modern. On the other hand, we must not forget that each country has its unique characteristics. And so do the women in these countries. What divorce means to one woman is not the same to what it means for another. One can see this difference in the film, in the story of Samar, who is inspired by the series Fatmagul and breaks her marriage after 13 years of suppression and violence. It is not the same to divorce in Abu Dhabi, as it is Athens. Traditions are also very different and one has to always consider them when studying or filming women. But it is all these that make women magnificent to film, I find that women characters are complicated, and fascinating at the same time, and very intriguing to follow in a film. Being a woman also helped very much with gaining access to these women’ s lives. There are some things that a woman only tells a woman. What was the challenge for you telling this story? The challenge was to be sincere. And this is the challenge in every documentary. Not to fall into your own premonitions, prejudice, and to follow the story where it takes you. And I am insisting on this, because so far in Greece, the only approach to Turkish Soap operas, was negative, and they are considered Turkey’s cultural weapon. How did you change after finishing this film? I think I have a better understanding of myself as a woman, and also I have learned to never ignore something that can be considered “cheap” in some people’s dictionary. Even soap operas can be useful in society, and I don’ t believe in those who snob them, because I think that these are the very same people who secretly watch them when no one is around. Success is to do what you love the most. Creating documentary films is what I love, but my prime need for this comes from my wish to understand the world. Maybe this is a method to understand myself, as well as humanity. It is a lonely process, sometimes you lose yourself in the lives of others, but it is worth it. Transmedia means telling a story via several different media platforms and giving the audience the option to participate. This does not mean that the story is just ‘displaced’ from one platform to the next: true transmedia stories use each platform to add something new to the overall narrative. This is one of the first and the most successful transmedia project. And this is the ultimate guide to transmedia. Have you ever watched a Turkish soap opera? What to you think about them? Turkish soap operas are incredibly popular - and not just in Turkey. 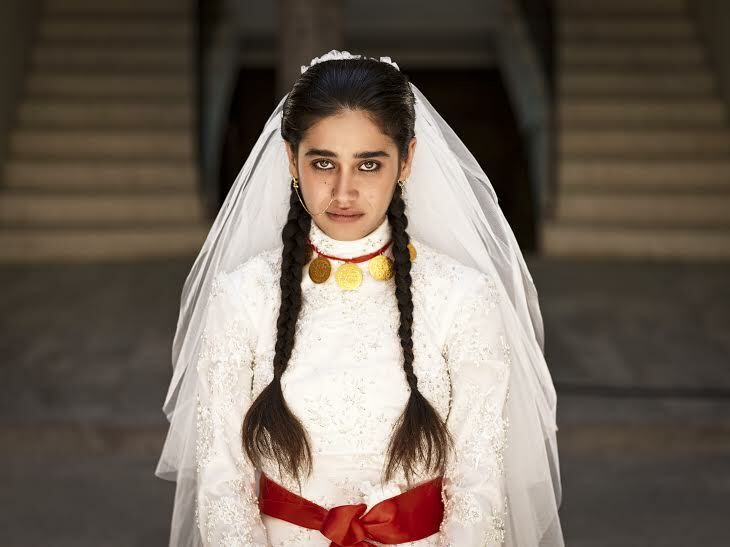 Throughout the Middle East, North Africa, the Balkans and Asia, millions of viewers are glued to every episode of series such as Noor, Fatmagul, Suleiman and Life Goes On. The Turkish cities used as locations have become tourist attractions, and huge numbers of parents name their children after the main characters. Kismet seeks out the secrets behind the soaps, which while breaking taboos also count many strict Christians and Muslims among their loyal audience. The film alternates interviews with the stars, directors, and scriptwriters with analyses by sociologists and portraits of faithful fans - most of them female - from Abu Dhabi, Cairo, Athens, Mostar, Sofia and Istanbul. The soaps transcend cultural and religious boundaries, and their devotees see them as much more than a temporary escape from their often dismal social reality. They may swoon at the hotly debated romantic intrigues, but they are also emboldened by the female characters, all of whom are strong, independent fighters. Alongside illustrative scenes from the series, the documentary brings us the personal stories of women who followed in the footsteps of their heroines to fight for their rights, and to ultimately break free of oppressed lives. ARTE's GREEK DAY will be aired on August 15, 2013. This 24-hour TV special on Greece will be presented to German- and French-speaking audiences across Europe by the Greek journalist Dimitra Kouzi. Shooting was completed on Hydra and in Athens on June 2-5, 2013. The programme in detail. Οι τελικές υποψηφιότητες (από 10 αρχικά ντοκιμαντέρ) για τα Βραβεία της Ακαδημίας Κινηματογράφου 2013 θα ανακοινωθούν στις 2 Απριλίου! 1. Από την ταινία «Ένα Βήμα Μπροστά (One Step Ahead)» οι Μαρία Δρανδάκη και ο Δημήτρης Αθυρίδης. 2. Από την ταινία «Ημερολόγια Αμνησίας» η Στέλλα Θεοδωράκη. 3. Από την ταινία «ANAPARASTASIS: Η Ζωή και το Έργο του Γιάννη Χρήστου (1926-1970)» ο Κωνσταντίνος Ζουλιάτης. the tribute to Chilean director Patricio Guzmán, with nine of his films. Unfortunately the director broke his leg and cannot attend - Patricio, get well soon!